Learn the process that all good hand readers already use. The best NL players are great hand readers that put their opponents on correct ranges time and time again. But they aren't wizards or lucky guessers. They use a process that this workbook guides you through. This workbook has just one goal - to help you become a better hand reader. 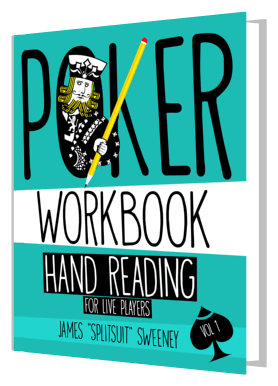 With a variety of $1/$2 and $2/$5 exercises outlining a step-by-step process for assigning better ranges, this book is for serious students who know they need to study - but they aren't 100% sure how to study hand reading on a deeper level. 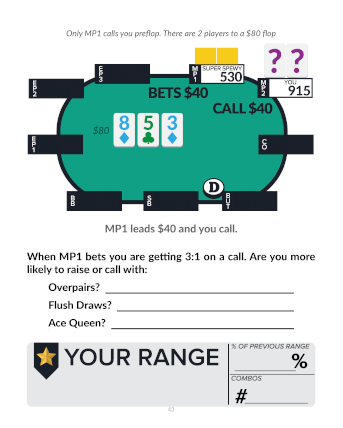 This section helps you understand and find shortcomings in your own ranges. Are you bluffing too often, or worse, not bluffing enough? These exercises will help you objectively understand your own ranges on each street. Knowing what your opponent holds is where the war is won. 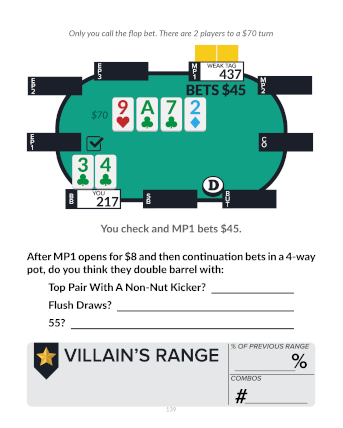 This section guides you through hands to help you visualize your opponent’s ranges and frequencies - all with guiding questions you can start using in your next session. When you play against stronger players you also need to know what you represent. 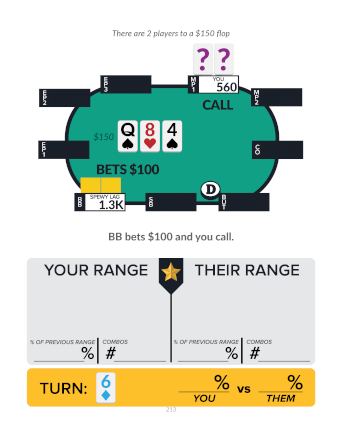 The final section looks at range vs range situations to help you identify range advantage instead of just focusing on your own hole cards. 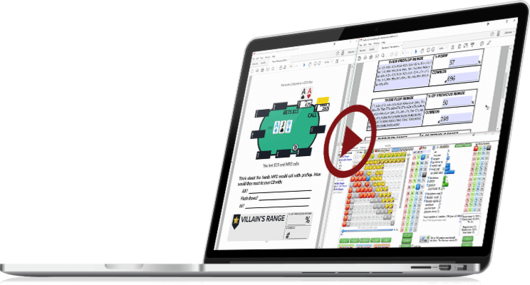 Flopzilla is a powerful piece of poker software that allows you to analyze hands, ranges, and frequencies with ease. This software is only for Windows PCs and if you choose a combo that includes Flopzilla it grants you access to use Flopzilla on up to two Windows machines. You can complete this book without using Flopzilla, but it's my recommended software for powerful exploration and study. Upgrade your workbook experience with the Workbook Master Class. This training video package includes over 7 hours of videos including 3 sessions from my Mastermind where I coached students through various exercises in the book. You also get 3 PRO RCP videos where I walk you through exercises and range reading step-by-step. And as an additional bonus you’ll get my 2 hour long Pure Hand Reading Webinar (a $60 value). These trainings coupled with the workbook will help you develop and practice your hand reading skillset more powerfully than ever before! "It's great. 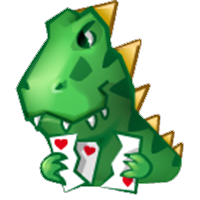 I bought it even though I thought it would be too simplistic given that I beat live 2/5 and 5/10 NL, already think in ranges, and am very familiar with Flopzilla. The workbook is making my thought process more rigorous; my ranging of other players is now faster and more accurate."